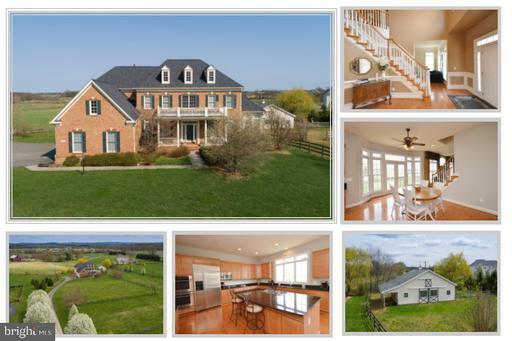 Absolutely delightful antique on 26+ acres in Purcellville! Charming c1790 home with 3 fireplaces, updated kitchen, newly refinished floors, walk up attic, and studio attached by breezeway with 4 BR, 2 BAs. Stocked pond. Full of lush and beautiful plantings, lots of native species and producing fruit trees owner is master gardener. Subdivision potential. 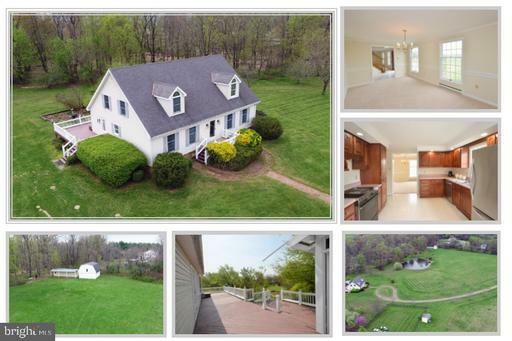 If youve ever been to Lovettsville, youve driven by this one a million times on your way in and out of town, likely admiring the lush landscape and blooming trees, and now~s your chance to make it your own!This 5 bedroom, 2 ~ bath Cape Cod sits on 18.84 acres and is an outdoor enthusiasts dream! Main level master suite. Brand new carpeting and fresh paint throughout. There are multiple outbuildings including a barn with three horse stalls, run in sheds, and workshop. Enjoy fishing from the private stocked pond or enjoy fresh fruit from the numerous producing trees and bushes! Best of both worlds! 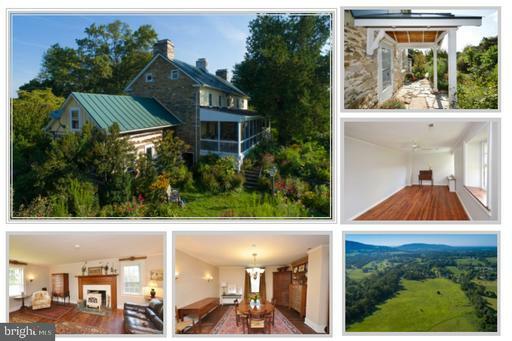 Elegant home boasting over 5400 sqft on 3.29 acres w/mountain views. Fully finished basement w/BR BA, perfect for multigenerational living. Move in ready for you AND your horses or ponies! Well crafted barn w/multiple stalls, tack room, hayloft for storage, water, elec. 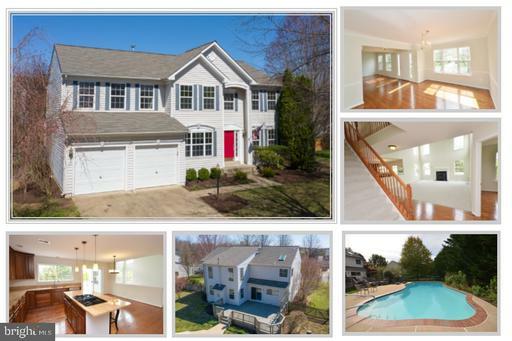 10 mins to MARC train shopping, restaurants, medical care and more! NEW: Paint, roof, heat pump, carpet. Here comes summertime! Beautiful home in Locust Grove with in-ground swimming pool! Over 4000 finished sqft on 3 levels. 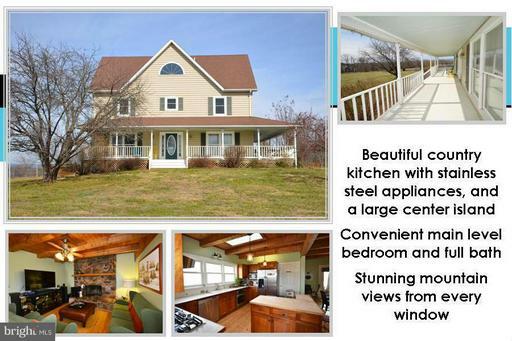 4 bedrooms, 3.5 baths on .37 acres. Brand new paint and carpet. Newly refinished hardwood floors on much of the main level. Master bedroom walk in closet with custom organizers. Nicely landscaped, fully fenced backyard feels private. Great location, walkable to shops and restaurants in downtown Purcellville. 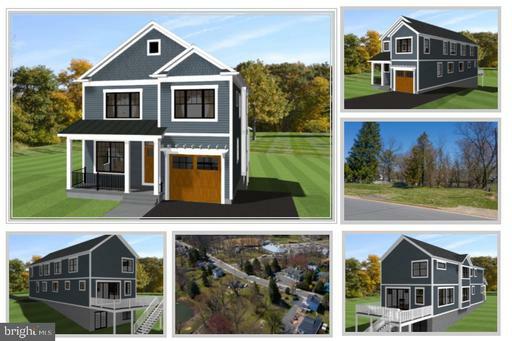 New construction homes in sought after downtown Purcellville! To be built, two beautiful Craftsman style homes walking distance to Firemans Field, Dragon Hops Brewing, plus shops and restaurants galore! 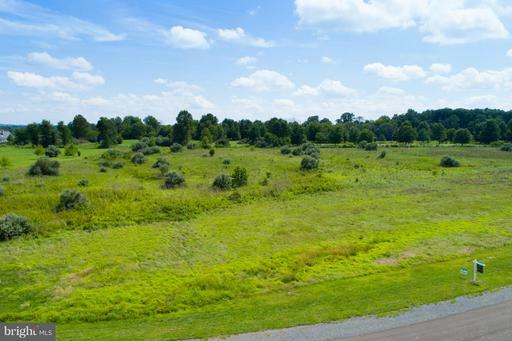 This is a unique opportunity to own a brand new home in this ideal location. Each home will be 4 BR, 3.5 BA with a 1 car garage on .21/.22 acre lots. Hardwood floors in kitchen and foyer. Ceramic tile in all baths. Granite counters and SS or slate grey appliances in kitchen. Hurry to add optional additions like a finished basement, hardwood floors throughout, screened porch or deck. Later 2019 delivery. Here it is ... your truly country Farm House! Straight out of Country Living magazine, this beautiful home oozes charm and unique details. Flexible floorplan with a ML BR full BA, plus MBR suite 3 addl BRs on the UL. Dont miss the unfinished walk up attic - this amazing space has a BA RI .. ready to convert to your dream master suite! Incredible views all around! Lovely living in Lovettsville! Wonderful home in popular Dutchmans Creek on a private lane backing to open common area and Dutchmans Creek itself! 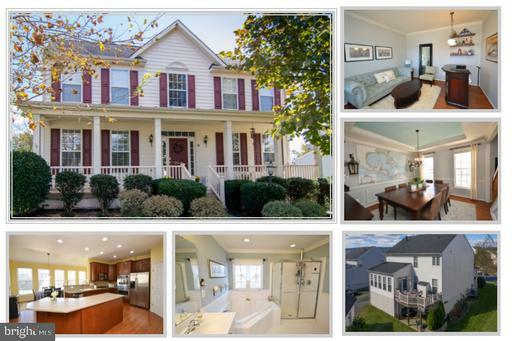 4 bedrooms, 3.5 baths plus an unfinished walkout basement with full bath rough in. 2800+ sqft finished includes light and bright sunroom that walks out to a spacious deck. Short, picturesque drive to town with shops, restaurants, Community Center pool and more. Easy drive to MARC train station. Do you love Pottery Barn? Then you will love this home! 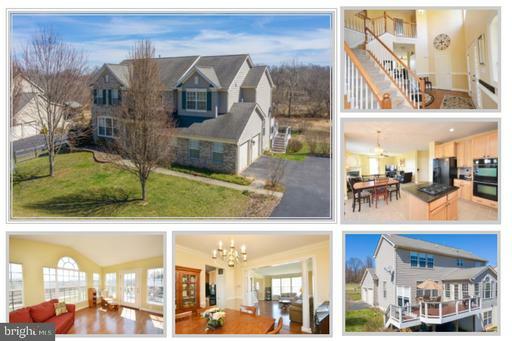 This absolutely beautiful single family home in Kingsridge Estates in Lovettsville is one of the largest models in the neighborhood and backs to trees! 4 bedrooms, 2.5 bathrooms plus full bath rough-in in the finished basement. Light and bright morning room, spacious master suite, detached 2 car garage. Walk to Lovettsville Town Center, shops, restaurants and more! Spacious single family home in New Town Meadows! Hardwood floors throughout the main level. Main level laundry and attached 2 car garage. Large master suite with walk in closet and expansive master bath. 5th bedroom and 3rd full bath in the fully finished lower level with brand new carpet! Beautiful stamped concrete patio. Walk to playground, Town Center, and more! 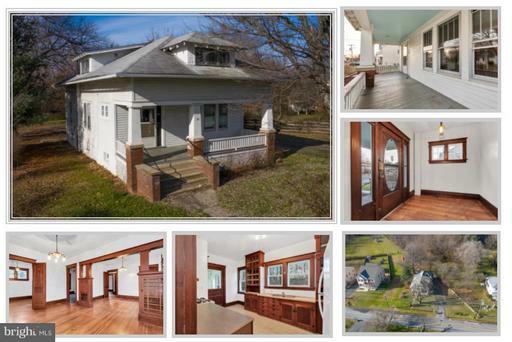 Super charming Lovettsville bungalow, believed to be an original "Sears Roebuck" house. Beautiful original trim work and built in cabinetry throughout. Dont miss the built in pull down desk in the living room. Expansive front porch plus covered back porch. 4 bedrooms 1 on main level and 2 full bathrooms 1 on main level on a .49 acre lot with barn at the back of the property. 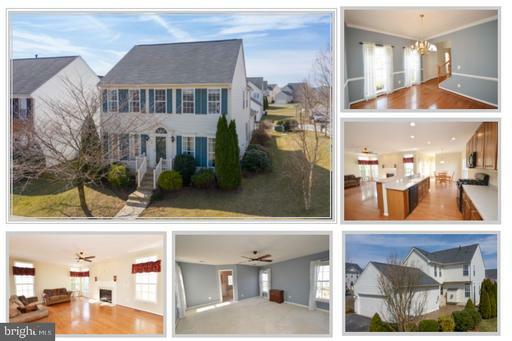 Walking distance to Lovettsville Elementary School, Town Square, shops, restaurants, community center, pool and more! Sold as is. Incredible opportunity! 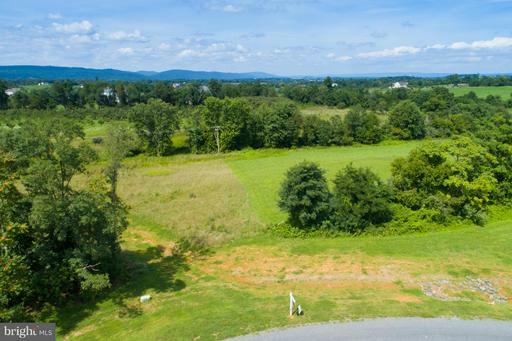 10+ acre lot in a beautiful hamlet community with mountain views abound, 30+ acres of common area and pond! Well installed 600 = 6 gpm and approved for 4 BR conventional drain field. Comcast high speed internet now available! Incredible opportunity! 10+ acre lot in a beautiful hamlet community with mountain views abound, 30+ acres of common area and pond! Well installed 400 = 5 gpm and approved for 4 BR conventional drain field. Comcast high speed internet now available! . Existing peach and apple orchard on the back of the lot.